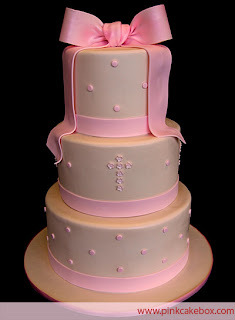 Is near one of the most important celebrations in the life of your little princess, his baptism, and of course, your dream is that this day is full of happiness and joy. 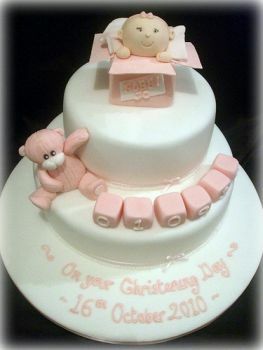 One of the most important details of the celebration is the christening cake, the cake is the guest who steals the eyes of all of those attending the meeting and for this reason there is nothing more flattering than a beautiful and delicious cake, so below you have a few models. 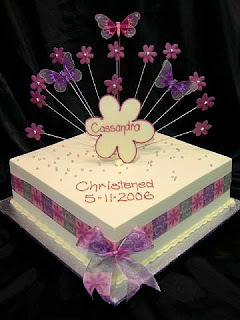 This two-floor model is decorated with traditional white and pink colors for girls baptism. Tender cake decorated with butterflies and flowers. 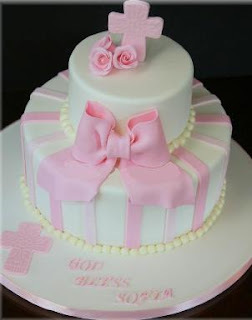 If you're planning a big party with lots of guests, this is right for your celebration, elegant three-floor cake topped with a pink ribbon. 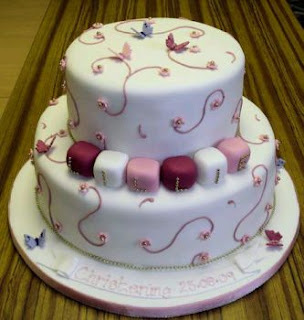 Elegant two-floor cake decorated with butterflies in flight. Another ideal cake for large celebrations , in this case the decoration is based on flowers and on the top a baby carriage. 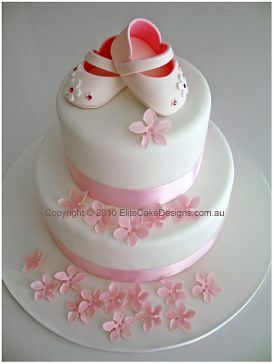 Delicate and simple cake decorated with baby shoes, flowers and pink ribbons. 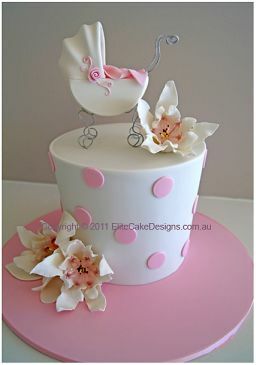 Model of one floor decorated with pink spots and a baby carriage, plus the flowers placed at the bottom and top, add a touch of elegance that makes the difference. 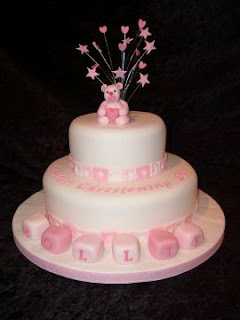 Double-floor cake decorated in white and pink, the girl's name is on the blocks at the bottom. 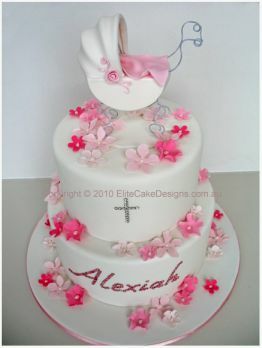 Beautiful cake proposed, two-floor cake with a baby out of the box. 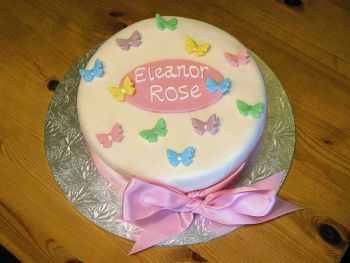 Colorful baptism cake of one floor, colorful butterflies and tie give vitality characteristic of girls. 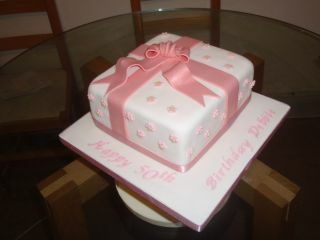 Elegant one-floor cake decorated with dots and a pink ribbon. 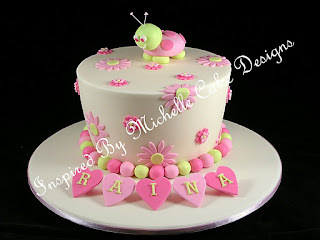 Beautiful flat cake decorated with flowers and pink and green colors, on top a cute ladybug gives a special touch. I hope you liked and you find them useful.